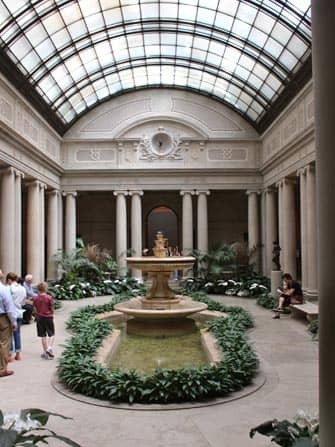 The Frick Collection in New York is a small art museum situated on the Upper East Side. It might be small in size compared to the museum giants such as the Guggenheim and the MET situated not a stone’s throw away. However, this museum’s art collection as well as the building in which it is displayed, are nothing short of grand and are definitely worth a visit. 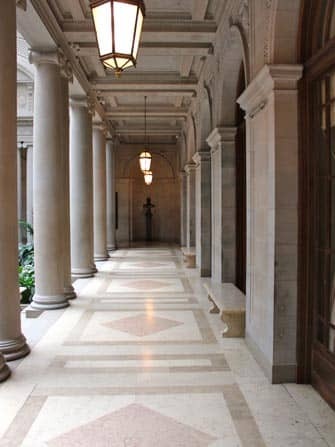 The Frick Collection is housed in the striking and stately mansion of the late Henry Clay Frick (1849-1919), the founder of this museum. Henry Clay Frick was a successful businessman who came from a modest background and made a fortune in Pittsburgh’s iron and steel industry. He is, however, somewhat a controversial figure. He was a lifelong opponent of organised labour and unions. This lead to strikes and also to a failed assassination attempt. During the last 40 years of his life he became an avid art collector. In 1913 he started the construction of the magnificent mansion on Fifth Avenue, overlooking Central Park. 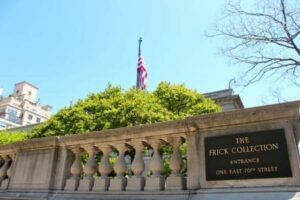 From the beginning of the construction and as stipulated in his will, Henry Clay Frick always meant for his mansion and his art works within to be turned into a public museum after his death and that of his wife. This act of significant generosity, which also included donations to different charities, was a striking contrast to such an unscrupulous businessman. Since his death, the collection of art has expanded considerably and the mansion itself has been reconstructed several times to suit the growing art collection accordingly. The expansions to the museum, however, are so seamless that you will hardly notice that some of the wings never belonged to the original building. The museum houses sixteen permanent galleries and simultaneously often displays several special exhibitions. It offers magnificent paintings from the hand of Europe’s renowned masters, such as Thomas Gainsborough, Sir Joshua Reynolds and William Turner. The Collection also displays sculptures, ceramics, textiles and works on paper. 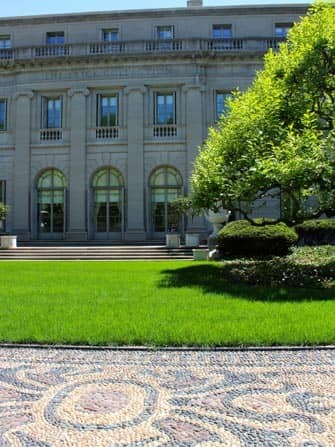 But that’s not all, the museum also houses an indoor garden where visitors can relax and marvel at what was formerly a Fifth Avenue driveway. What makes the museum so special and unique is that it is displayed in the former Frick residence. This means that some rooms are still exactly as they were at the beginning of the twentieth century. 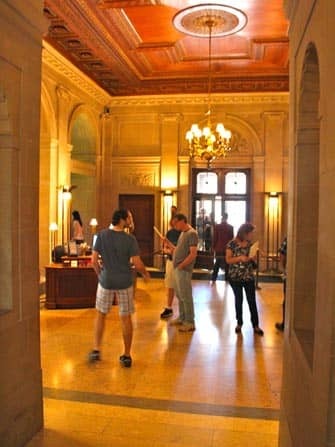 As such you are transported back in time when you wander around and can experience how the affluent Frick family lived. Take a couple of hours to explore the museum. Make use of the free audio guide and walk around the house at your own pace. The museum is popular with tourists and New Yorkers alike, so expect it to be busy throughout the day. Children under 10 are not admitted to the Collection.